This compact warming plate melts your favorite scented candles to release their fragrance — simply add a candle in a heat-safe glass container. 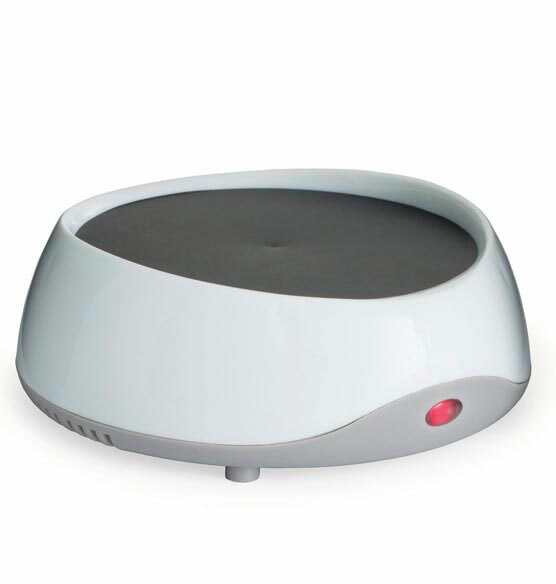 Warmer with dial switch automatically shuts off after 8 hours for worry-free use. With a 4”dia. 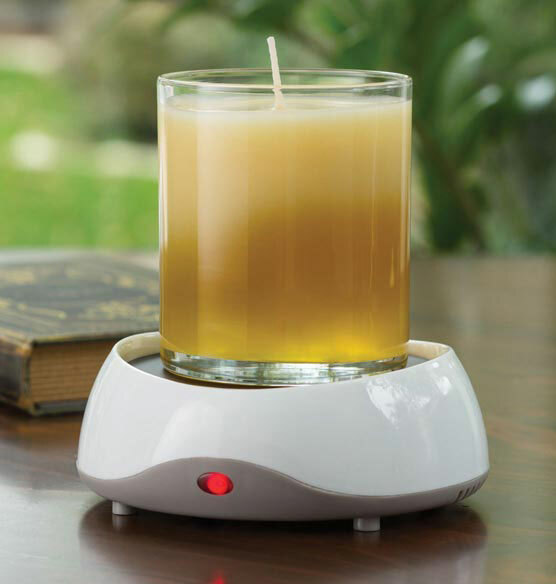 warming plate, it fits a variety of scented candles 16 oz. or smaller. ETL-listed unit is electrical-rated at 120V 60Hz, 17W. Measures approx. 5 1/4” long x 5” wide x 1 3/4” high and weighs 0.4 lbs. LOVE my new cup warmer. I'm back to get another one. Love the automatic shut off. I like the smell of different candles without the flame. And this cuts off after 8 hours. So it is safe. The cord is a little short. It heats up quickly. I like it. This candle warmer is awesome. I have one that I have had for years but I didn't like the fact of the small space for a larger candle container and not automatically shutting off. I purchased two and I am so glad that I did. I will be donating my older candle warmer. Thanks for an awesome product. Candle warmer is great. Fits bath and body works 3 wicks perfectly. Love auto shut off. Love my candles but would prefer to not have to worry about working outside leaving a candle burning. This is a great alternative. I wanted something for my home and office that I won't have to worry if I shut it off or not. I also like that it is battery operated and I can use it anywhere. I bought this item because it has an auto shut off and this will be used in an office. It has an automatic shutoff.. It seemed like a reasonably priced and clever product. Safety when burning candles with curious cats in the house! can you warm a coffee mug on this? BEST ANSWER: Thank you for your question. It may warm a cup of coffee but not get it very warm. We hope this information will be of help to you.